Sunday 10am-3pm: $3 mimosas. 3-7pm: Half off drinks and appetizers. 10pm-2am: $5 sangrias, frozen margaritas, and frozen mojitos. Half off appetizers and quesadillas. Monday 3pm-2am: Half off all drinks and appetizers. Tuesday 3-7pm: $3 Tecate. $3 TJ dawgs, street tacos. 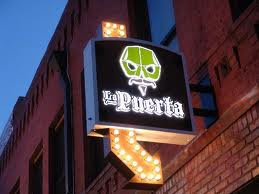 10pm-2am: $5 sangrias, frozen margaritas, and frozen mojitos. Half off appetizers and quesadillas. Wednesday 3-7pm: Half off drinks and appetizers. 10pm-2am: $5 sangrias, frozen margaritas, and frozen mojitos. Half off appetizers and quesadillas. Thursday 3-7pm: Half off drinks and appetizers. 10pm-2am: $5 sangrias, frozen margaritas, and frozen mojitos. Half off appetizers and quesadillas. Friday 3-7pm: Half off drinks and appetizers. 10pm-2am: $5 sangrias, frozen margaritas, and frozen mojitos. Half off appetizers and quesadillas. Saturday 10am-3pm: $3 mimosas. 3-7pm: Half off drinks and appetizers. 10pm-2am: $5 sangrias, frozen margaritas, and frozen mojitos. Half off appetizers and quesadillas. Sunday 10 a.m. to 2 a.m.
Saturday 10 a.m. to 2 a.m.